The leaves are changing color, we’re cooking some yummy warm dips and baking some delicious healthy snacks, and generally getting cozy and comfortable at home. As usual, I’m running behind on everything, and frantically trying to get the kids’ winter clothes organized, and summer stuff put away. Am I the only person who pretty much ignores spring cleaning, but who goes into full on winter nesting mode? 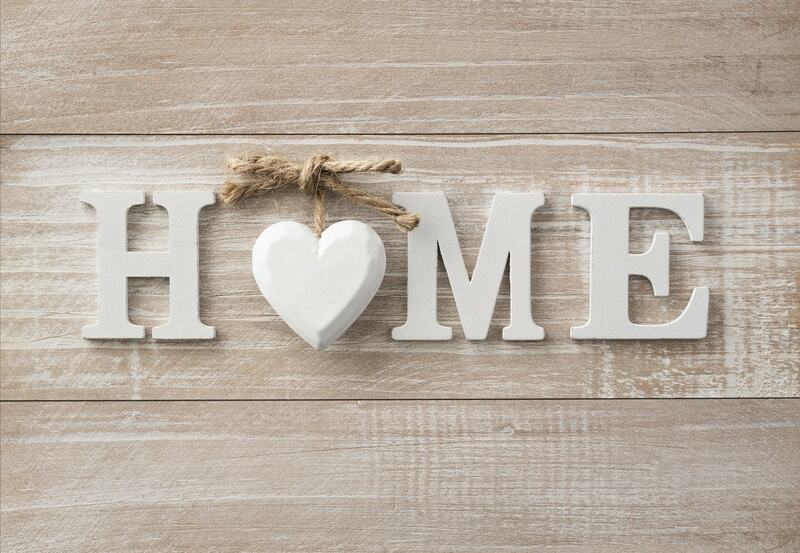 While I have to admit I’m definitely running behind on a lot of things, there is one area where I never procrastinate: making sure our home is safe from fire and carbon monoxide (CO) fumes. When my husband was small, his family’s house burned down (luckily no one was hurt! ), so fire safety really hits close to home. I can’t imagine how heartbreaking and terrifying it was! So, every year, at least twice a year, we do a little audit to make sure our house is as safe as it can be from fire or carbon monoxide. 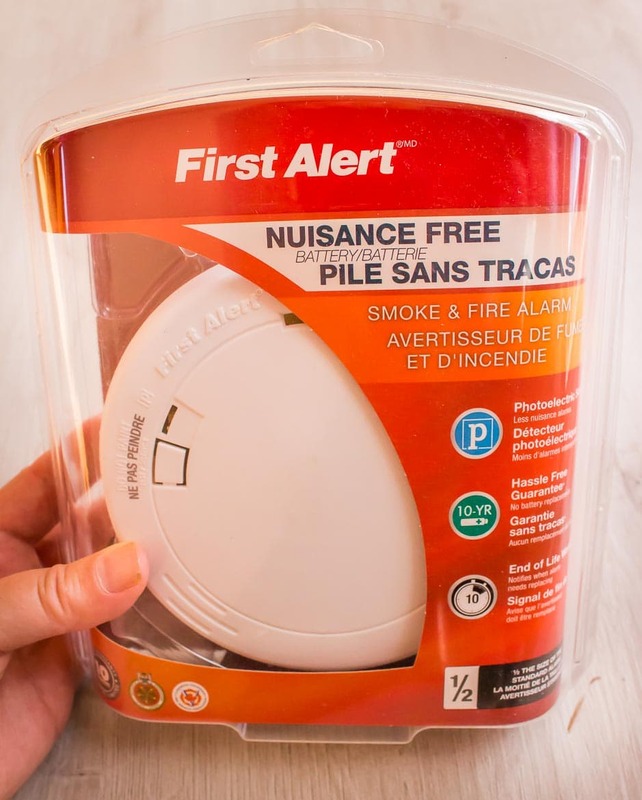 What’s especially scary is that 80 percent of fire deaths occur in homes without working smoke alarms, and that’s often due to missing alarm batteries or expired alarms (source: Canadian National Fire Information Database). While most safety tips focus on fire, we’re going to talk about carbon monoxide too. Carbon monoxide poisoning is responsible for more than 300 deaths each year. It’s also the number one cause of accidental poisoning in Canada. Here are our top five fire and carbon monoxide safety tips at home. Check now to see if your smoke alarms have missing, disconnected or dead batteries. You can maintain existing alarms by testing regularly. First Alert alarms are equipped with a test button to make this easy. This is important stuff. Dead batteries are a huge hazard for families. 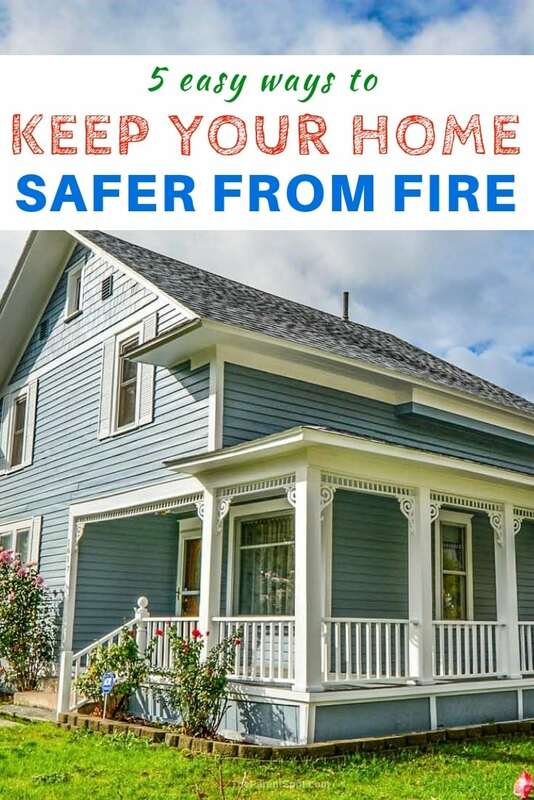 In fact, the National Fire Protection Association (NFPA) says that the risk of dying in a reported home fire is cut in half in homes with working smoke alarms. Guess why smoke alarms will fail? Most of the time it’s due to missing, disconnected or dead batteries. Carbon monoxide is invisible, colorless and odorless. It’s a gas that can be produced by any fuel-burning device, such as a furnace, boiler, stove or car. It’s often called the invisible killer, because you can’t see it, or even smell it in your house. This means that a carbon monoxide alarm is the only way to detect and protect your family from CO. If you don’t have a CO alarm, get one now! 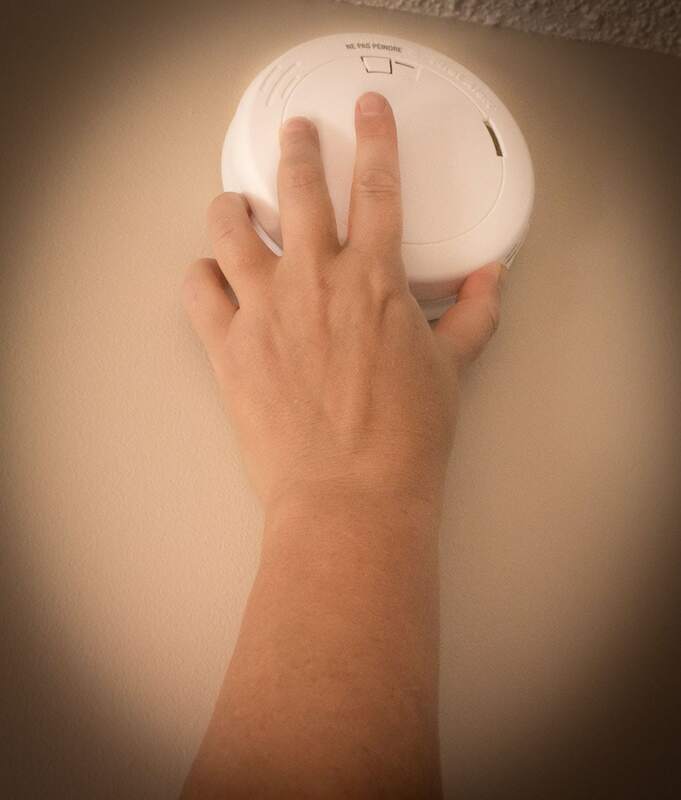 The National Fire Protection Association (NFPA) recommends that carbon monoxide alarms should be installed on each level of your home and in a central location outside each bedroom. 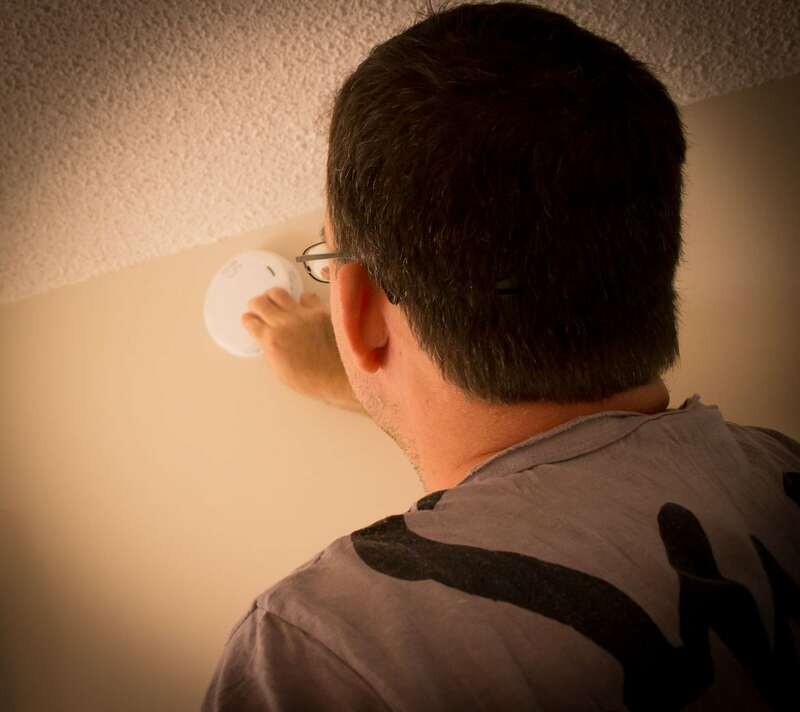 Smoke detectors should be in be installed on every level of the home, including the basement, inside each bedroom and in the main corridors, according to the National Fire Protection Association (NFPA). Get a 10 year alarm. Honestly, these are so new that before First Alert reached out to me, I didn’t know 10 year alarms even existed. I may be a safety nerd, but I think these are the coolest things ever. The new 10-year sealed battery alarms are honestly one of he greatest advancements in alarm technology in recent years. These 10-year alarms have a tamperproof, sealed lithium battery that powers the alarm for a full 10 years. That means that you don’t need to hassle with costly battery replacements, or deal with annoying low battery chirps. Even better the 10-year sealed battery alarms, mean that us homeowners don’t need to remember to replace batteries for the life of their alarms. There’s an extra bonus too, because the 10-year alarms eliminate the risk of ever having an alarm deactivated due to battery removal. 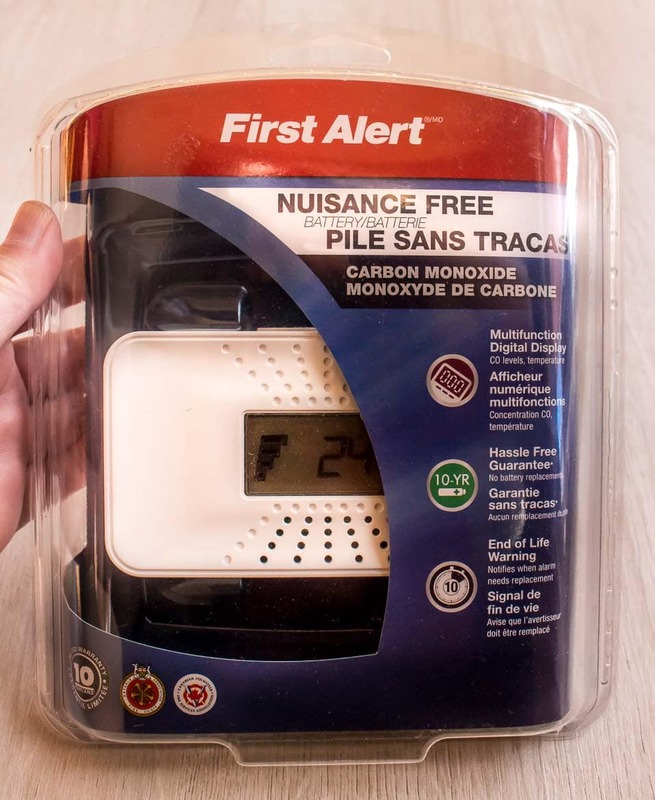 First Alert has a selection of several smoke and CO alarms that have the 10-year sealed lithium batteries. Find out more about the First Alert 10-year alarms here. There you have it, in five easy steps, your home can be a lot safer. If you want to find out more about home safety, or First Alert’s great CO and fire alarms, head on over to the First Alert website here. This is such good advice! I have to admit that I’m not always the best at changing out our smoke alarm batteries.